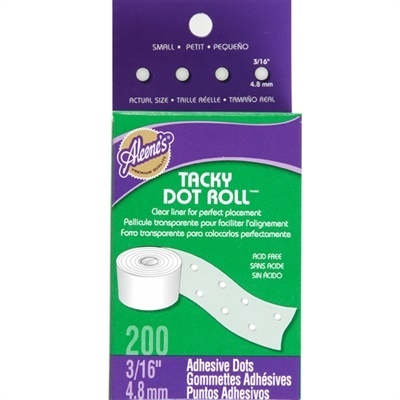 Roll up your sleeves and get creative with an Aleene’s ® Tacky Dot Roll ™! 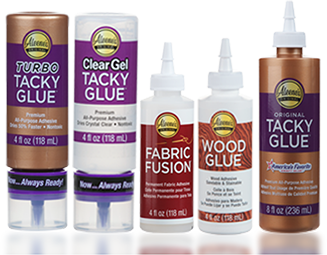 Perfect for when you need just a spot of adhesive, these permanent, high-tack glue dots come on a convenient, easy-release roll and have clear backing to make precise placement a cinch. Just peel and stick for permanent results! Each Aleene’s ® Tacky Dot Roll ™ comes with 200 dots. Choose from 3/16” diameter, 3/8” diameter and ½” diameter.